Today’s post was written by Juliet Wei, senior product marketing manager for the Yammer team. With the whirlwind of Microsoft’s first-ever Ignite conference behind us, I’d like to take this opportunity to recap some of the Yammer highlights and key takeaways from the event. Our inaugural conference was successful on a massive scale, attended by 24,000 people including IT pros, developers, business leaders and influencers. Thousands of you packed into Yammer’s 20+ sessions to learn more about our new focus on team collaboration and see the experiences we’re currently working on in action. The deep level of engagement and enthusiasm you brought over the course of five days both humbled and invigorated us. The Yammer sessions built upon the foundational sessions from Day 1 of the event, where we laid out the Office 365 holistic set of modern, connected collaboration solutions for dynamic teams. Many of the key innovations coming to Office 365 are inspired by concepts that have long existed in Yammer. That’s because Yammer has deeply influenced Office 365’s approach to collaboration over the past three years. For instance, the new Office 365 Groups service, which creates a standard definition of team membership using Azure Active Directory, builds on the idea of user-created groups in Yammer that are open by default. And Office Graph, our machine learning engine, is inspired by the Yammer enterprise graph, which makes it possible to discover and build on the work of others. By expanding on these and other Yammer concepts, Office 365 celebrates the work Yammer has done to date while providing a platform for Yammer to innovate on an even greater scale. Some of you have asked how we think about the co-existence of Yammer and Office 365 Groups. To clarify, Office 365 Groups is an architectural element of Azure Active Directory—not an Office 365 app or experience—whereas Yammer is THE immersive social experience within Office 365. 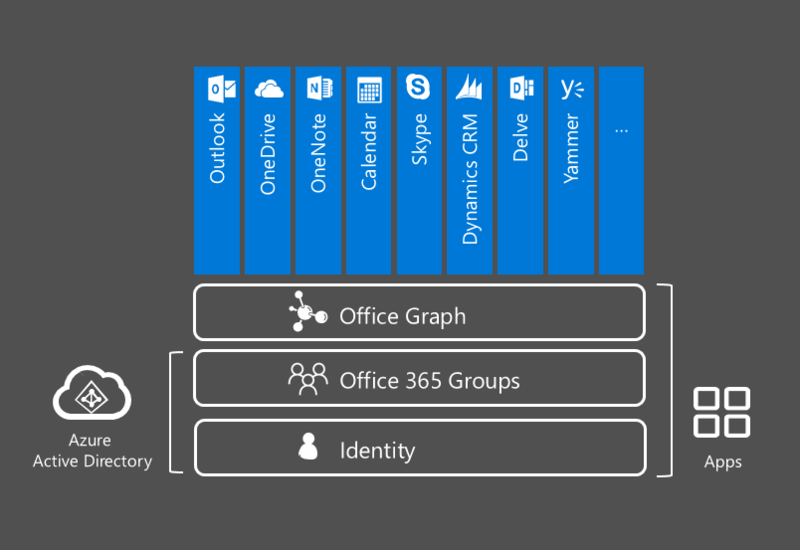 Together with identity, Office 365 Groups and Office Graph comprise a shared intelligent fabric across Office 365 that’s also extensible. As you can see, every app in Office 365 and beyond will hook into the intelligent fabric. For example, integration into the Office 365 Groups service enables each app to deliver innovative new experiences such as Outlook Group Conversations, a massive improvement over traditional distribution lists, and modern attachments in OneDrive for Business. The first apps to take advantage of the Office 365 Groups service include Outlook, OneDrive, OneNote, Skype and Dynamics CRM. Yammer and Delve will soon hook into the service too as announced at Ignite. As a core part of Office 365, Yammer is committed to leveraging the Office 365 Groups membership service, which will significantly improve and expand the Yammer experience. Building this integration depends on the completion of the foundational identity work we’re currently doing with Azure Active Directory, so we’re targeting Office 365 Groups integration to be available during the first half of 2016. The ability to escalate your Yammer group conversation to a Skype group meeting. Easily accessing file sync and share capabilities in OneDrive from your Yammer group. Leveraging intelligence from the Office Graph to deliver better insights to your team in Yammer. Giving teams in Yammer the ability to schedule group events in Outlook calendaring. So if you’re wondering how Yammer and Office 365 Groups fit together, think about the Office 365 Groups service making your Yammer experience even more powerful. While these cross-suite scenarios enabled by Yammer integration with the Office 365 Groups service are indeed exciting, there’s no need to wait to get your team started on Yammer. Industry-leading companies all around the world are already using and realizing enormous success with Yammer. And with the work we’re doing every day to make Yammer itself a better place for teams, we believe there is no better way to help your team work smarter and make a bigger impact than with Yammer. If you haven’t already done so, activate Yammer today and check out the resources in the Office 365 Success Center to drive adoption in your organization! 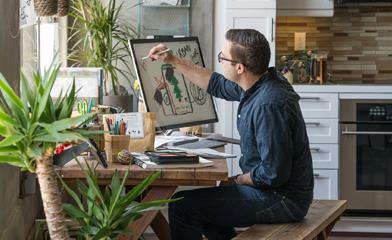 If you’d like to learn more about what we’re delivering next in Yammer, join our YamJam. On Wednesday, May 27th, the Office 365 Network will host a YamJam from 9:00-10:00 a.m. PDT to discuss Yammer’s new product direction. Members of the product engineering team will be on hand to answer your questions. For those unfamiliar with a YamJam, it is similar to a “TweetJam” on Twitter or an “Ask Me Anything (AMA)” on Reddit, except it takes place on Yammer. It provides the opportunity for the community to ask questions and have a discussion with a panel of internal Microsoft experts on a particular topic. Log in at 9:00 a.m. PDT on Wednesday, May 27th to ask questions, follow the discussions and connect with Microsoft team members.